Yes I’m sat here writing this on New Year’s Eve and no I’m not out enjoying myself. With us all being ill we didn’t really make any plans, so my night will consist of watching Beyonce’s I Am Sasha Fierce Tour Blu Ray that landed through my letterbox today, drinking various alcoholic beverages left over from Christmas and generally relaxing. Chinese food has been consumed and my stomach seems to be back to its normal self, thank goodness. You may hate me for saying this, but I think New Year is always a bit overrated. I’d much rather spend it with my family at home than fight my way round a bar or pay through the roof for a meal somewhere. I’m more of a Christmas fan myself! I’m not the only one either. I’m really surprised at the amount of people who are choosing to do the same as me this year and stay home! 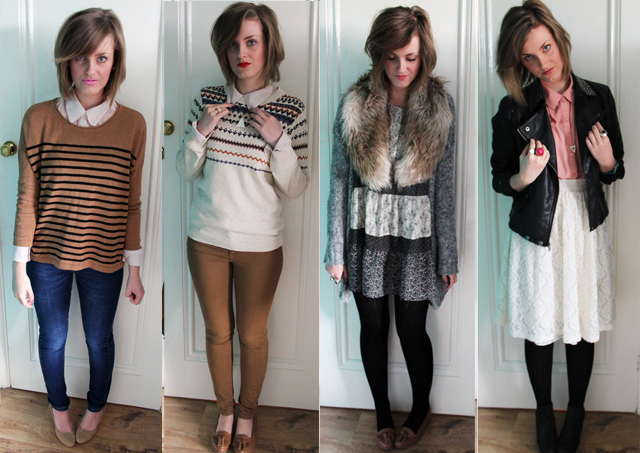 Anyway, as promised, here is my ‘Year in Outfits’. I’ve not pictured them all, just my favourites from each month. 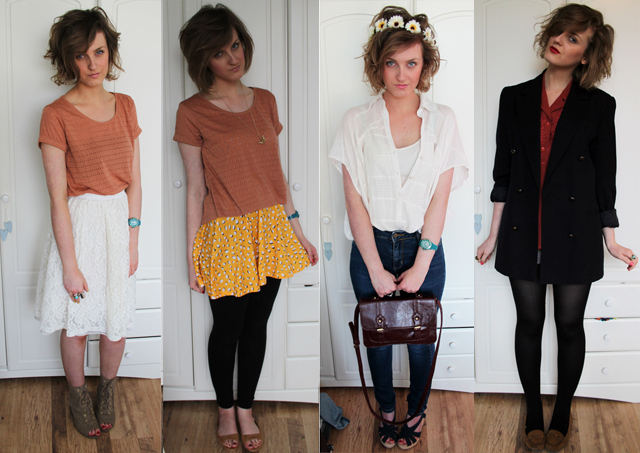 I think its great to do this as you can really see how your style has changed and evolved over time. 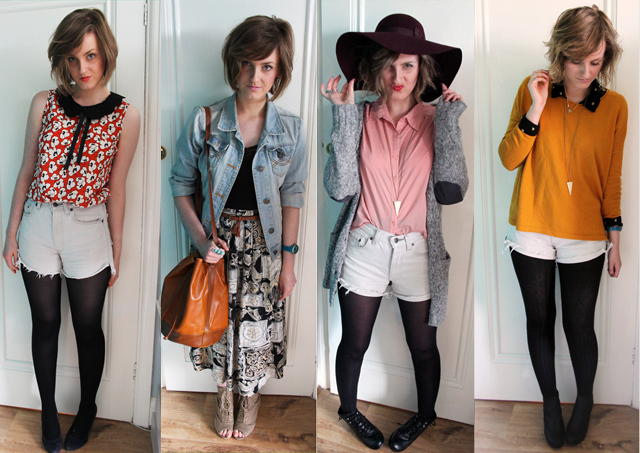 Spot the few summery days we had, ha! I’d like to think my style has changed a little in the sense that I seem to be more keen to experiment with colour and print than I used to be, and I don’t dress quite as safe as I did. 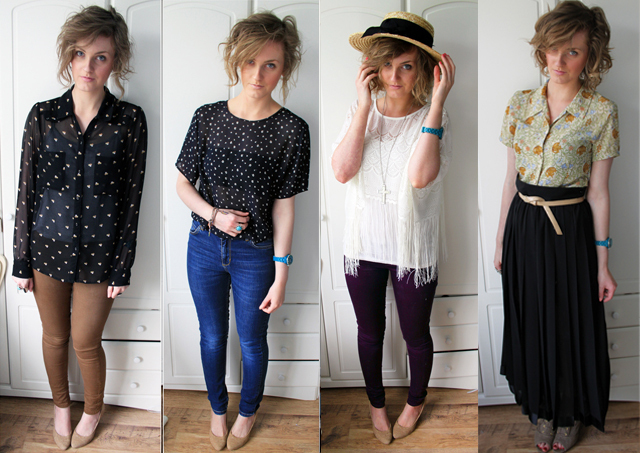 The best thing is, none of these do I look back on and think ‘Why did I wear that?’. I genuinely like each and every single one. Its such a shame that a hell of a lot of the stuff has now gone to new homes via eBay and blog sales! If you want to see any of these in more detail, just click the ‘Outfits’ tag in the ‘What?’ section of the sidebar and they are all there somewhere! Let me know if you’ve done a post like this. 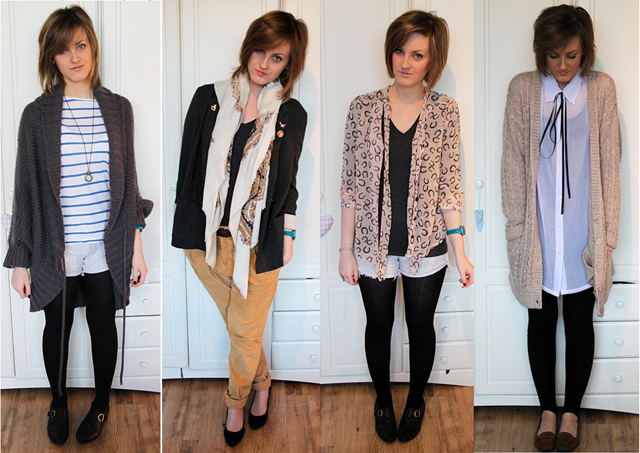 I love seeing all the outfits on one page as you get a great sense of that person’s style. 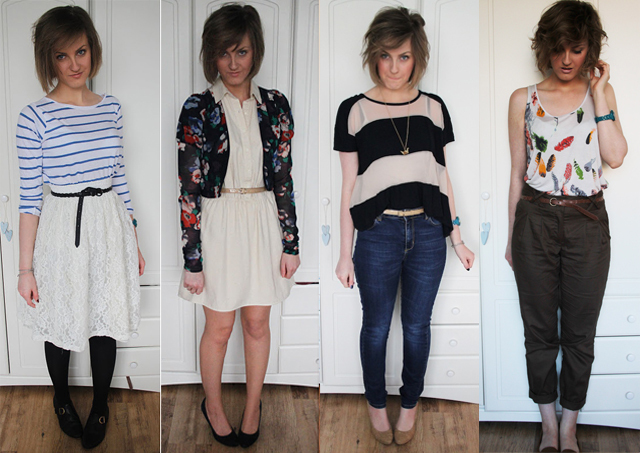 I’m thinking of doing a ‘2011 Favourites’ post in the next couple of days too so I can show you what my favourite hair, skin and beauty products have been over the year. For now though I’d like to wish you all a very Happy New Year wherever you are and whatever you are doing, and to finish on a soppy note, thanks to all my followers for sticking with me and for all your lovely comments throughout 2011! N’awww! i know what you mean about spending tonight inside! i have flu and a few other health problems, i have just worked a 6 hour shift at my local football stadium i have the worst headache in the world and all i want to do is lye on the sofa with my duvet and sleep! 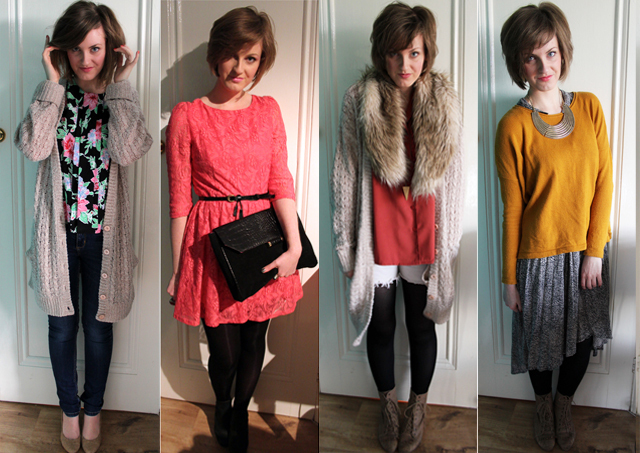 Happy new year 🙂 all your outfits have been gorgeous throughout 2011 Clare, and more colour has definitely creeped in! I hope you have a wonderful 2012! 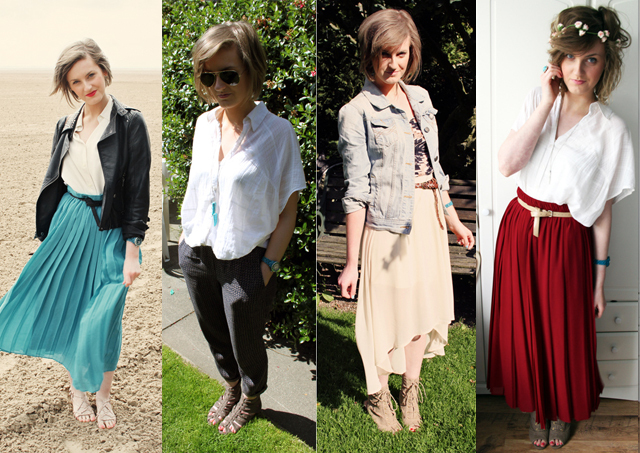 loving all those maxi skirts! gorgeous!! I'm not sure its style evolving – more like new trends surfacing? What do you think?